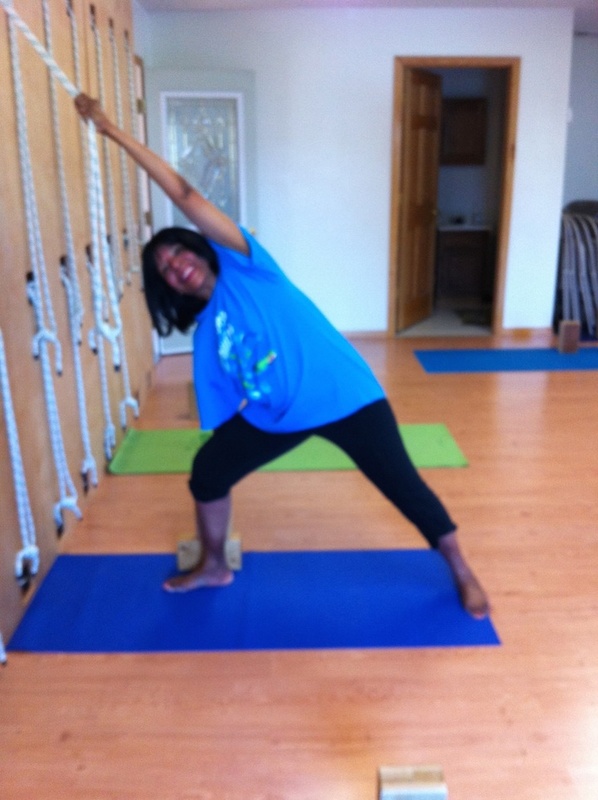 Hansei came to Inner Life Yoga studio after straining her leg muscle during a home video workout routine. “I went to multiple doctors and they told me nothing.” said Hansei. Finally one doctor suggested trying yoga nearby Hansei’s job. After her first class she signed up and made the commitment many others fall short of. From the first day she was attracted to the one-on-one interaction between the teacher and the students. After developing a consistent yoga practice all of Hansei’s pain in her right leg has disappeared. Hansei is currently in Multilevel classes and attends class once a week. She loves that in her Multilevel class no certain level is overlooked. For each pose her teacher gives different variations to different levels. Hansei really appreciates this because everyone may face different challenges but Kimberly makes it work for everyone individually. “Even though we are in a class setting it feels like a one-on-one yoga experience” Says Hansei. She now is working towards straightening out her arms during her yoga practice. Even though Hansei only goes once a week she still has a consistent practice at home. Kimberly has encouraged her to try exercises at home to help with stretching out her arms. Since starting yoga she now feels healthier, more flexible and has seen a dramatic mood increase. Hansei’s dramatic increase in energy is envied by coworkers who have also seen the change. She is taking advantage of the Bring-A-Friend program by inviting coworkers to come experience it for themselves. Words Of Wisdom: Encourages everyone to make the commitment to stick with a consistent yoga practice and the teachers at Inner Life Yoga Studio will help you with the rest.